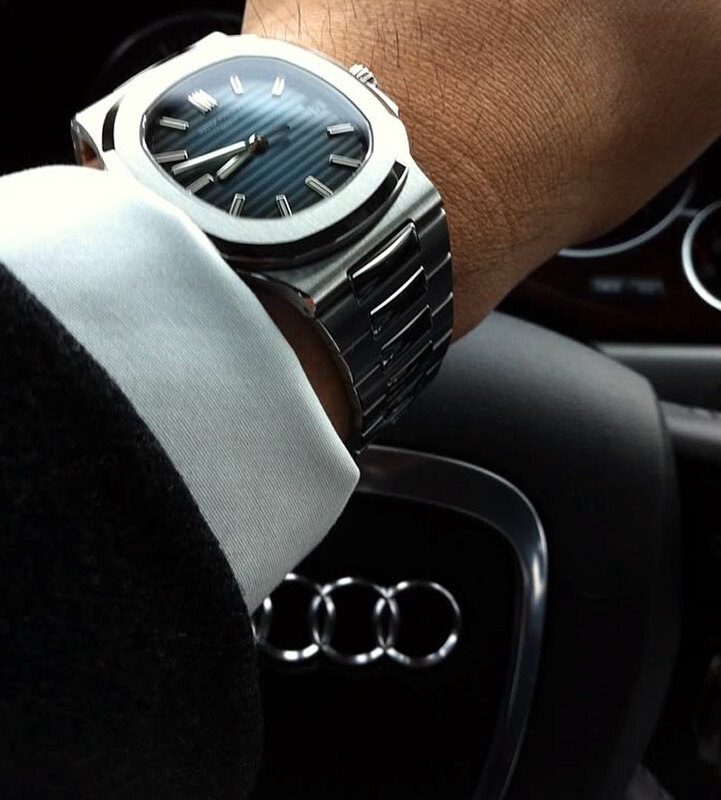 You are looking at a wrist-shot of a unique Platinum Patek Philippe Nautilus Reference 3700/1 which was sold in Sweden in 1981. 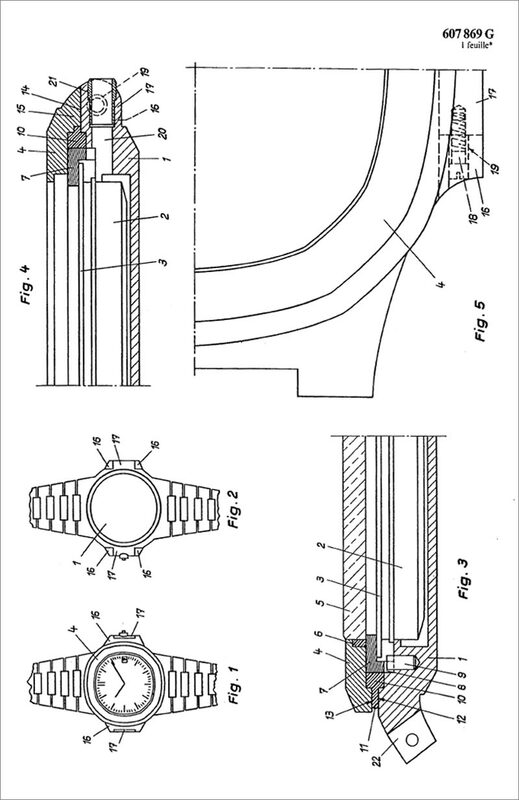 The photos below of this most unusual Patek Philippe are shown with copies of the original Patek Philippe Swiss Patent Drawings by Philippe Stern in 1976. 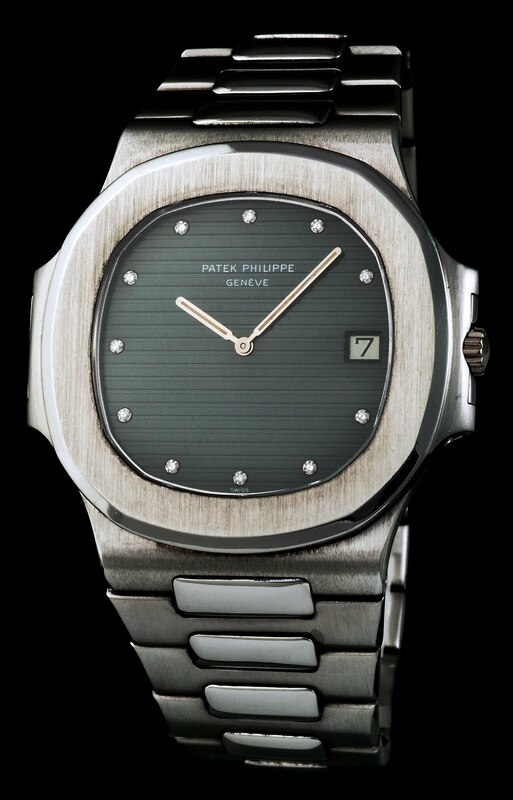 This is a pretty profound find, and chances are, you have never seen these photos before of the other platinum Patek Philippe Reference 2497P. 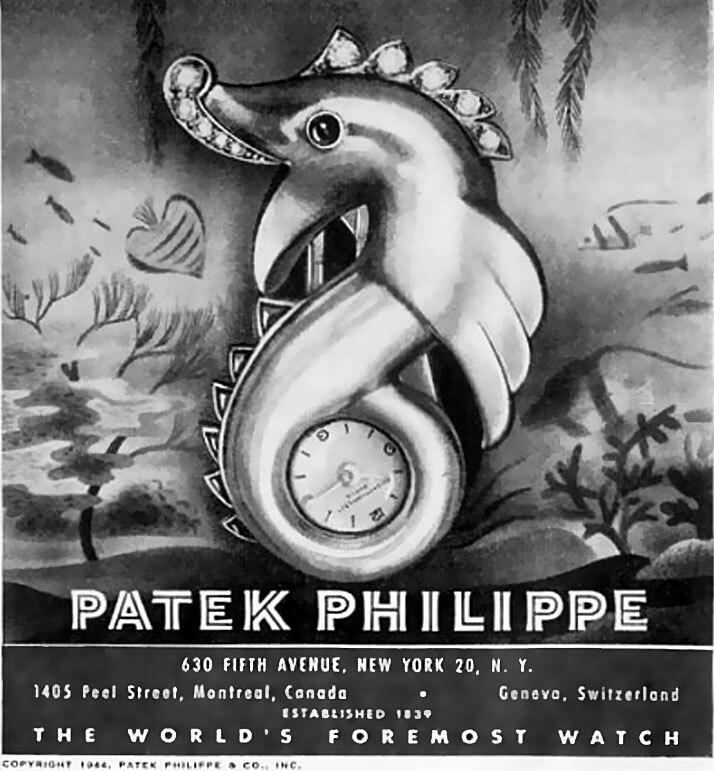 In other words, there are only two known examples of this Patek Philippe watch in the world. 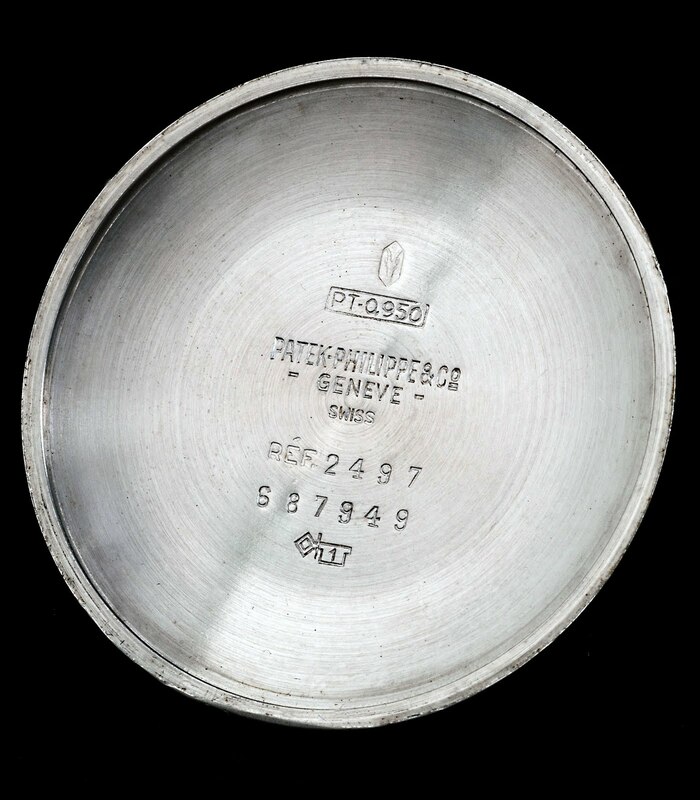 I have already published extensive photos of the other Platinum Reference 2497, and this is the first time I am showing the other known example which has diamond markers instead of Breguet markers. 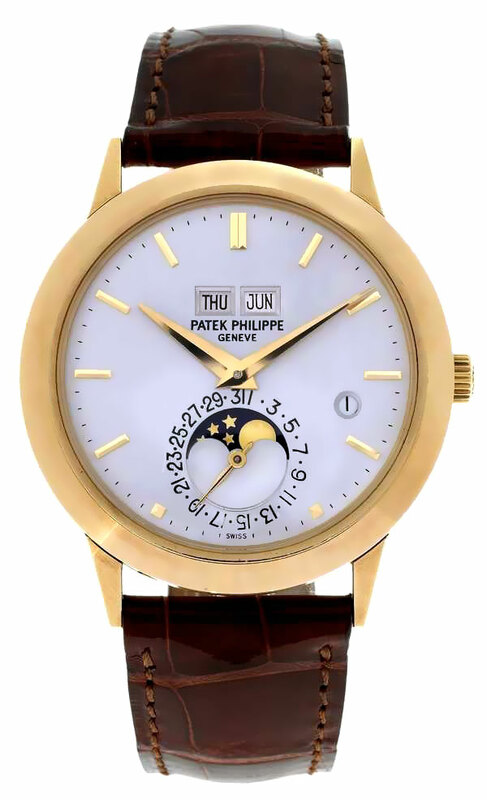 The two known example of this watch represent the only perpetual calendars made by Patek Philippe up until the early 1980s. 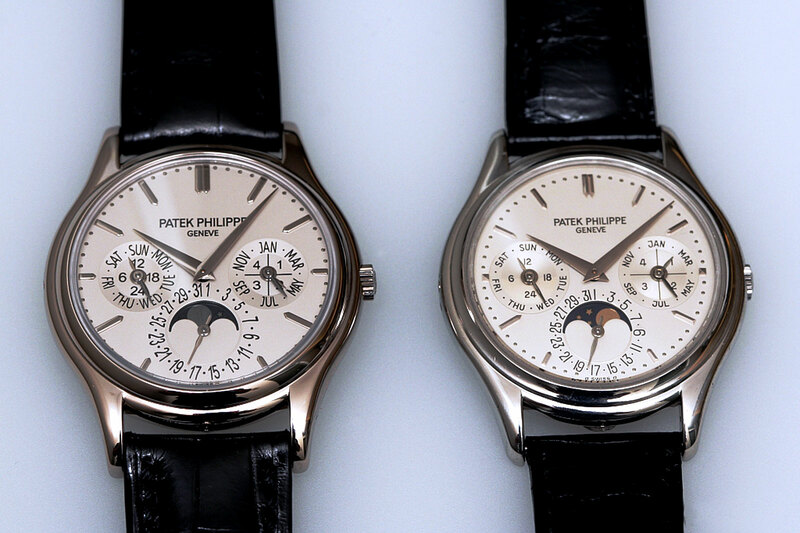 That is pretty profound if you think about it, that Patek Philippe only made two complicated platinum watches in the 1950s, and did not produce another until the 1980s. 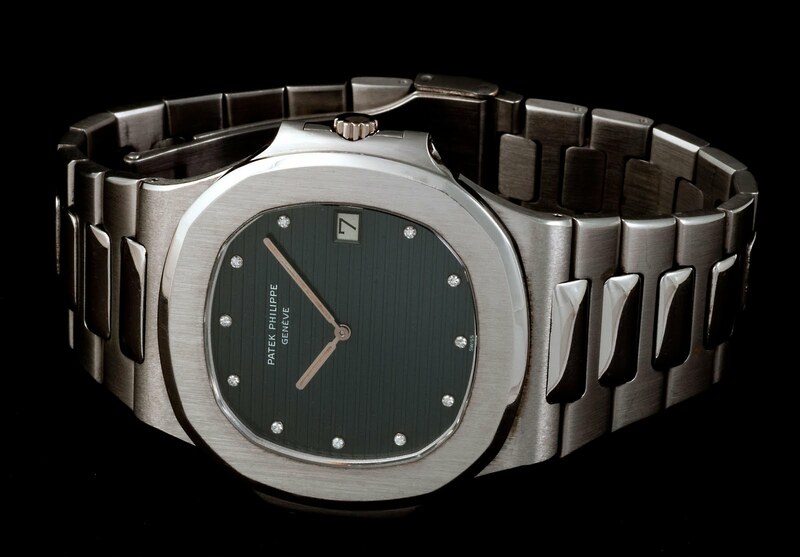 I thought I would share this Patek Philippe beauty your readers of Jake's Patek Philippe World! 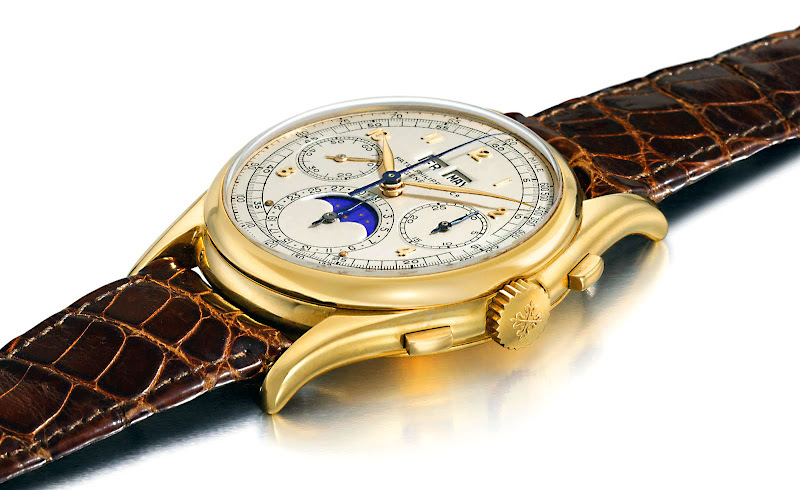 These photos are of one of the rarest and most sought after Patek Philippe watches in history. 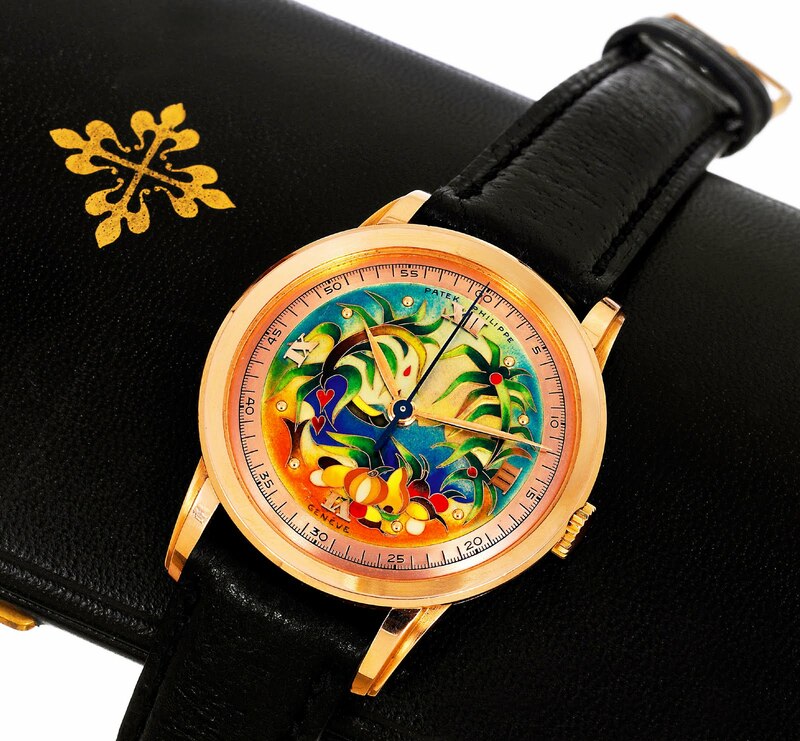 This exquisite dial is known as "The Tropical Cloisonné Dial" and it was made in 1954. The Cloisonné dial on this 1954 Patek Philippe is considered to be one of the most outstanding Cloisonné dials ever produced on a wristwatch, and arguably it is the top Cloisonné dial to ever appear on a Patek Philippe. John included this macro shot that shows just how beautiful and fine the detail is on this watch. 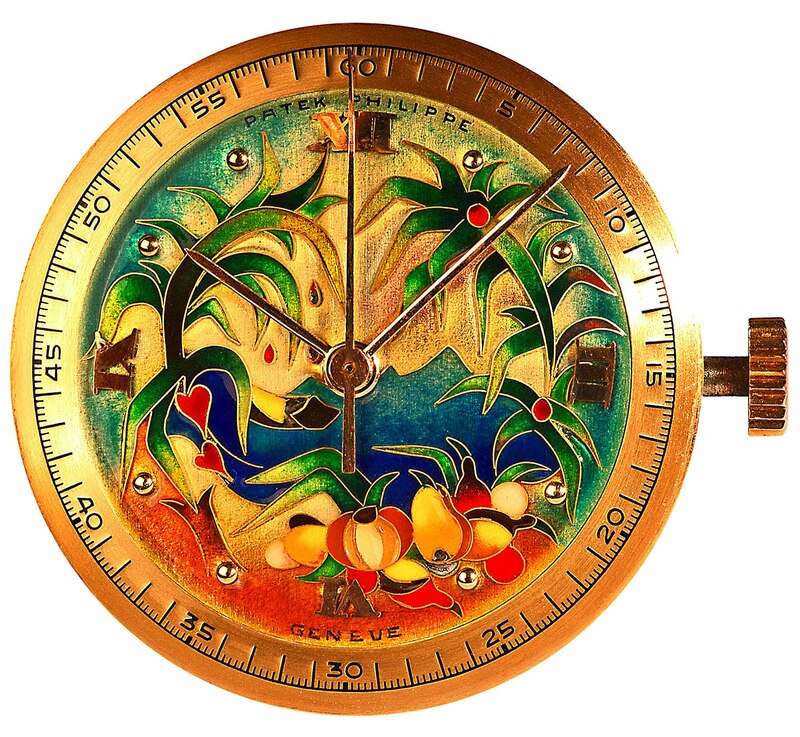 This magnificent Cloisonné dial was hand-enamled by Miss Marguerit Kock for the Stern Fréres company in 1953 and it was inserted into a pink gold case. 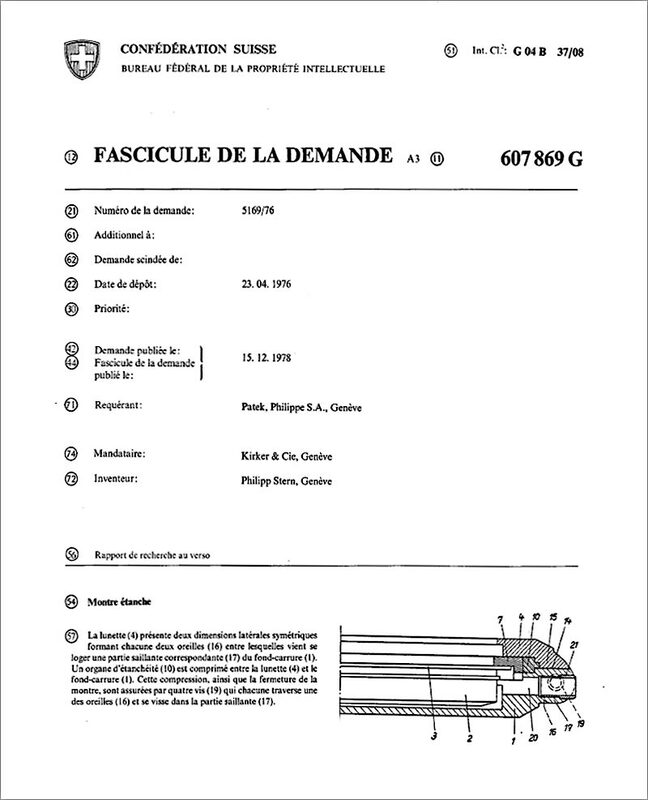 The watch had a calibur 27sc and the tropical dials French name was "Forét Vierge." 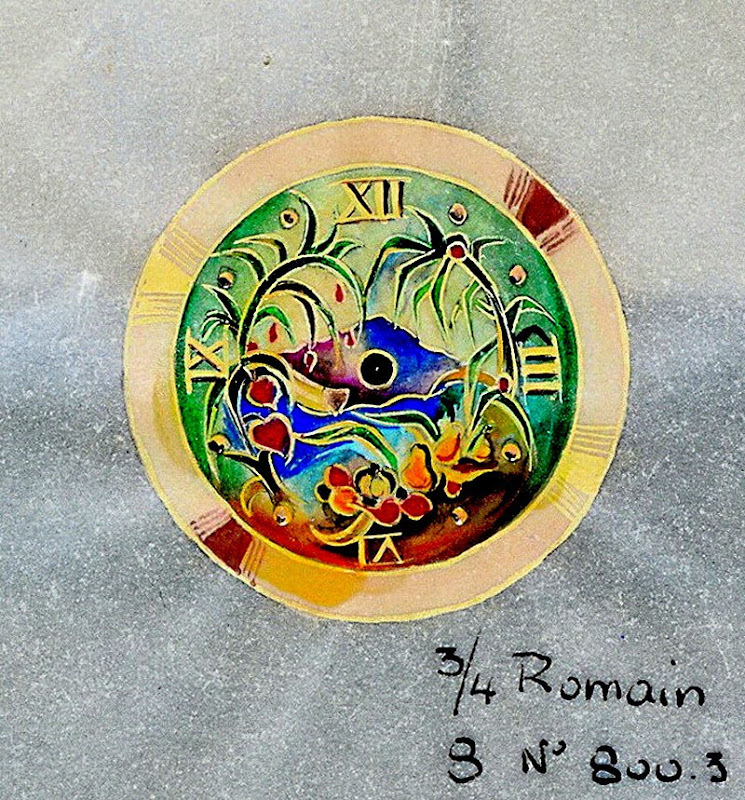 John also included this next drawing which is the original hand-painted, water-color that illustrates the dial's layout. I think I like the shape and position of the mountain-top better in the original illustration, as seen below. The next image is from the 2009 Antiquorum Auction catalog, where this beautiful watch was last sold. It sold for around $265,000. 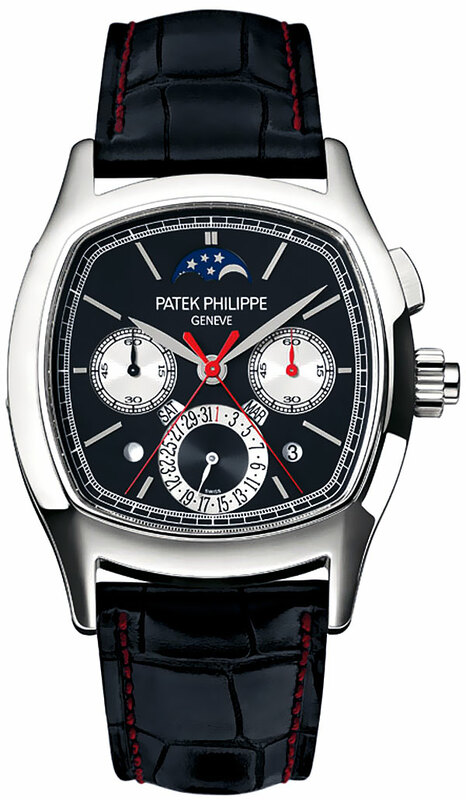 My compliments for your new Patek blog. 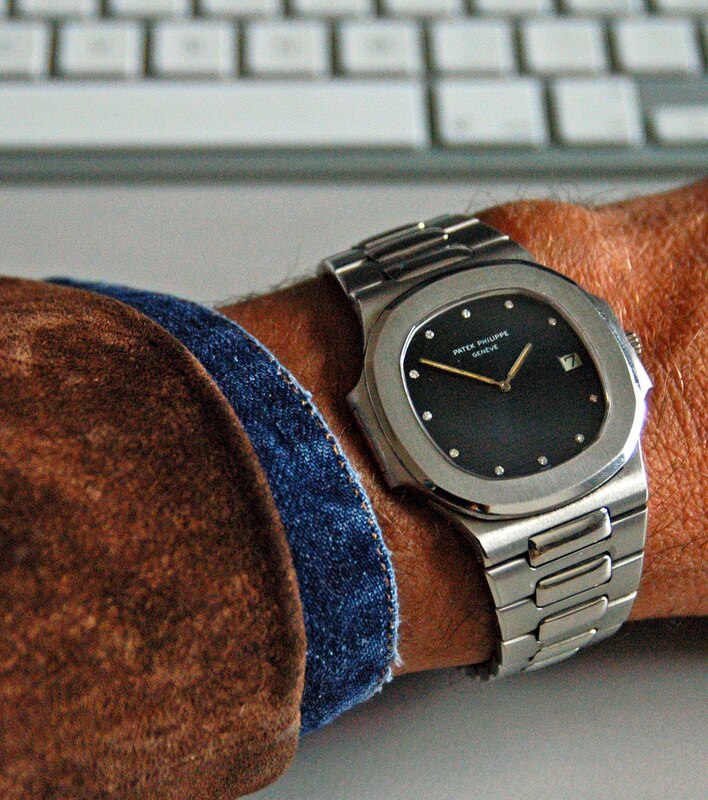 Earlier this week you showed off a very rare platinum Patek Philippe Reference 2497! I sent you some detailed images of this beauty. 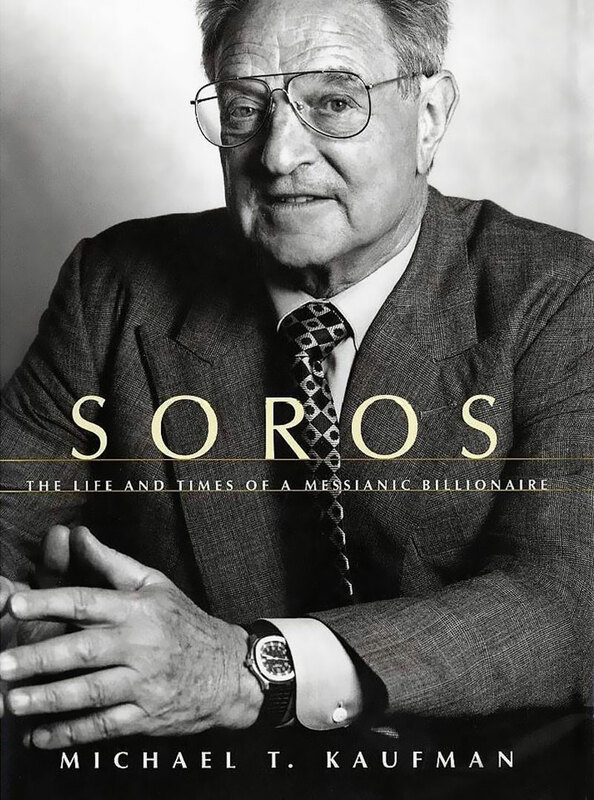 Beside being a top horological collector and publisher, John also publishes watch books. I did a podcast recording with him back in 2008 on RolexMagazine.com regarding his amazing boon named 100 Superlative Rolex Watches. This automatic Patek Philippe watch was auctioned by Antiquorum, and it has a circular Roman numeral aperture window that shows the leap year indicator. 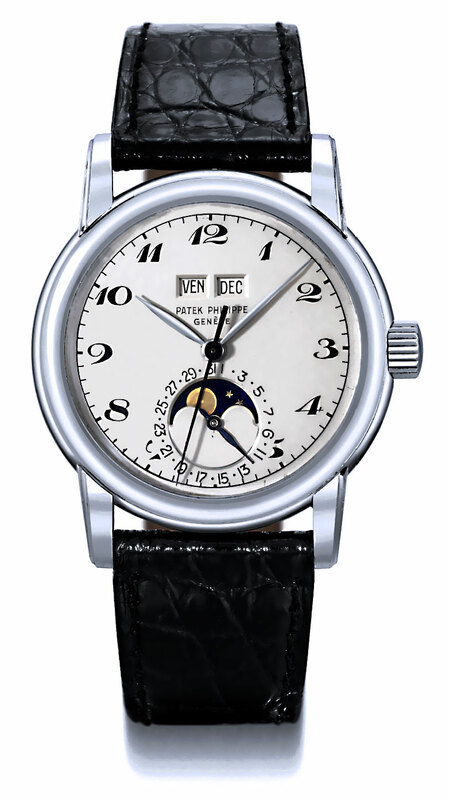 This Platinum Patek Philippe was manufactured in 1954 and later sold in 1956. It features black hard-enameled Breguet numerals and the Breguet style markers give this watch a very unusual and exclusive look since it is the only known version of this watch with this elegant marker style. 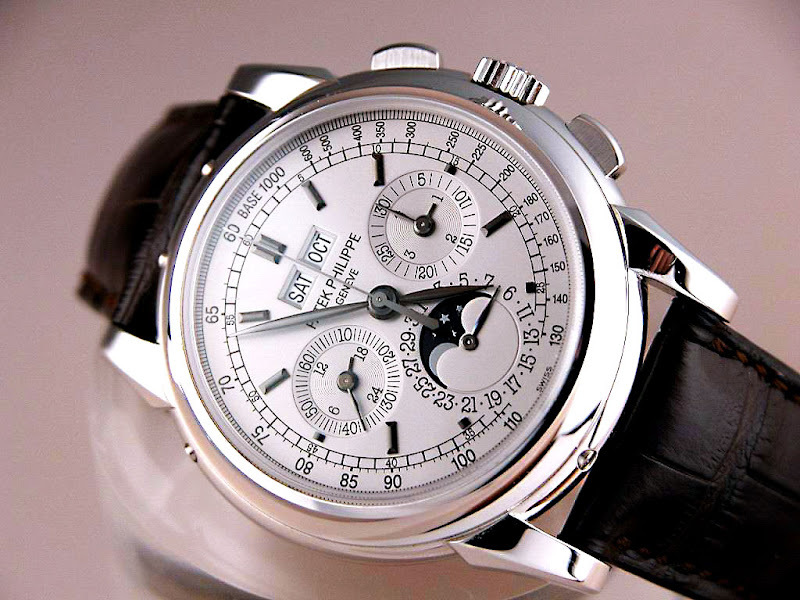 This Platinum Patek Philippe was sold by Christie's Auction house for $3,067,195 on May 12, 2008. 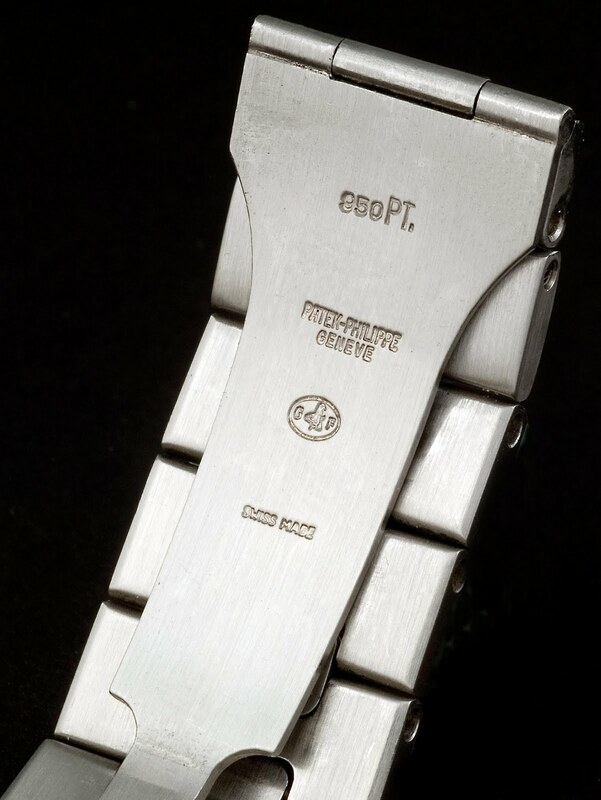 It is one of only two known platinum versions of the 2497 that are documented. 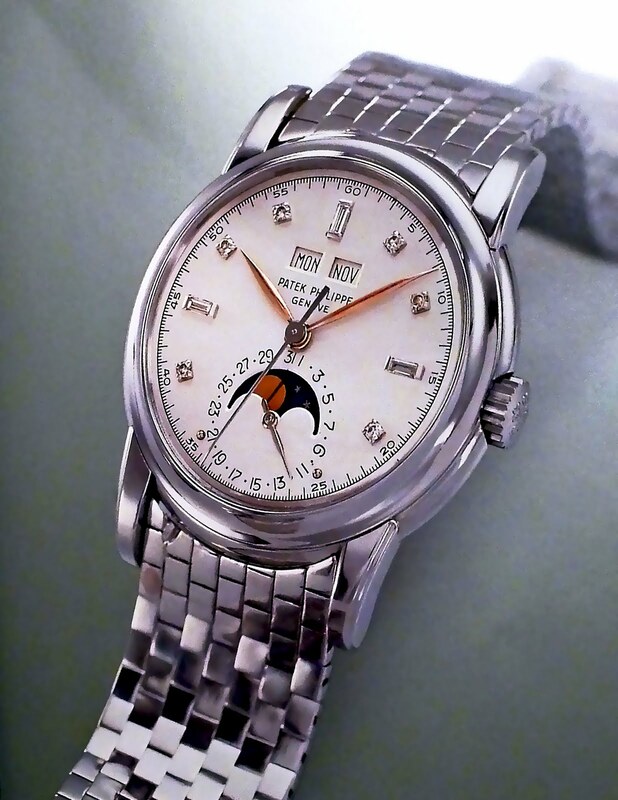 According to Christie's it is commonly believed that there are NO Patek Philippe vintage perpetual calendar watches made out of platinum that were made between 1941 and the mid 1980s. 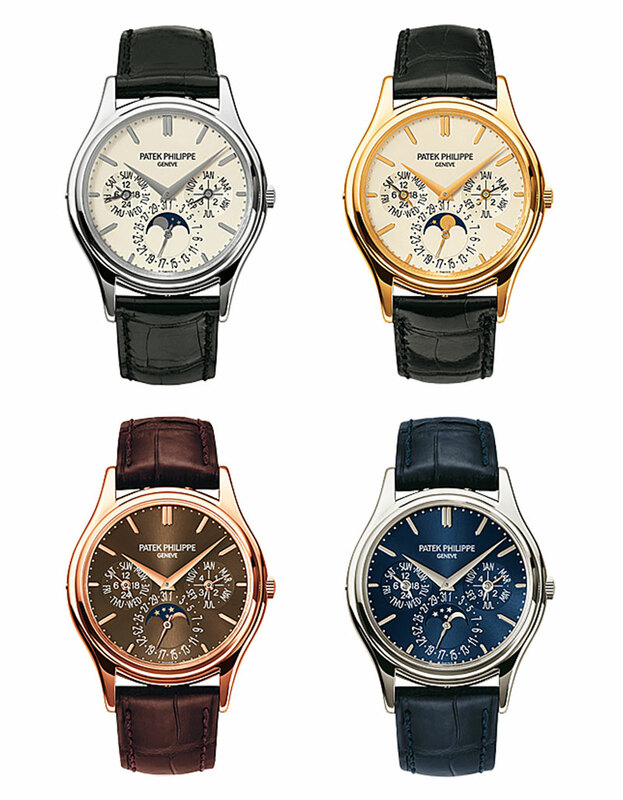 This includes the Patek Philippe References 1526, 1591, 2438, 2438/1, 3448, 3449 and 3450. 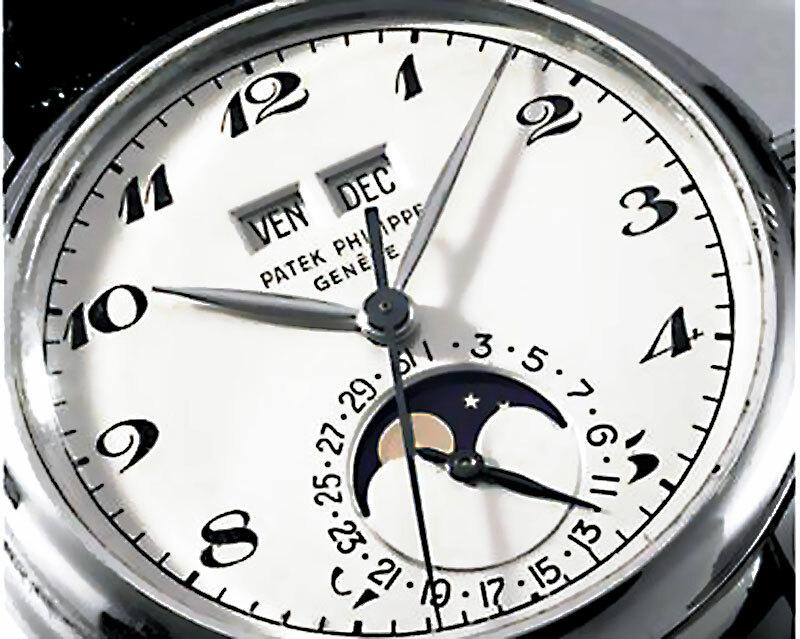 In other words, Patek Philippe invented the brought to market, the first perpetual calendar wrist-watch in 1941, and from its inception in 1941, up until the mid 1980s, the never made any cases in platinum except for this one and one other. It is possible there may be more out there, but these are the only two that have been documented to date, which makes this watch ultra-rare!!! When I was 16 years old, I fell in love with the Rolex Submariner, and somehow figured out how to purchase one. At the time, in 1982, when I was 16, I paid $1000 for the Rolex Submariner. 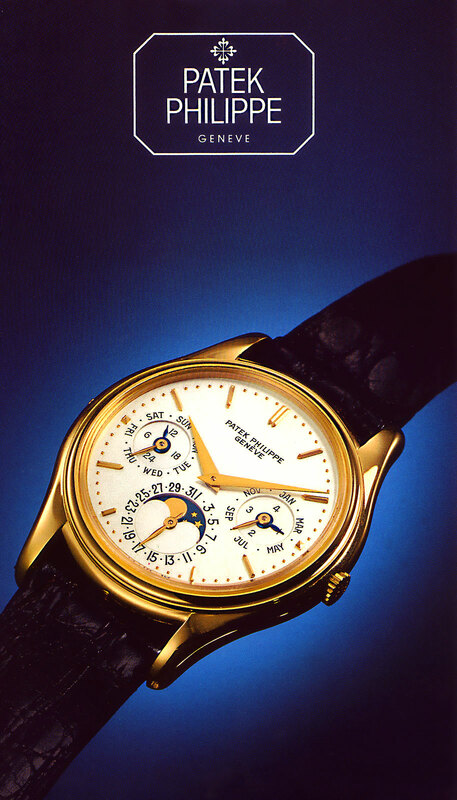 When I was 17 years old, I inherited a Patek Philippe wristwatch that belonged to my father. It was a simple Patek Philippe with no complications. 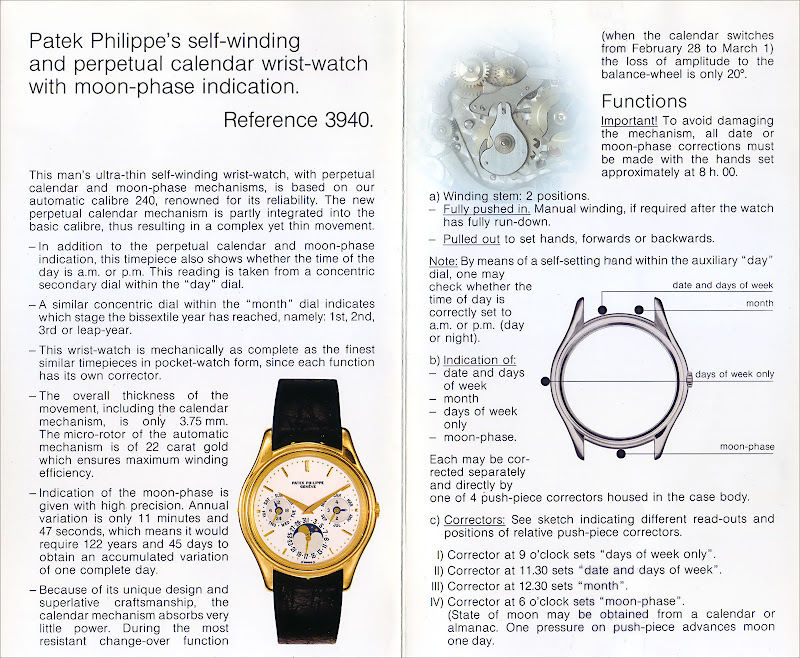 When I was 18 or 19, I was in Robert Johnson Jewelers in San Francisco, and Bob showed my first complicated Patek Philippe Moonphase, and then he pulled out the Patek Philippe catalog. 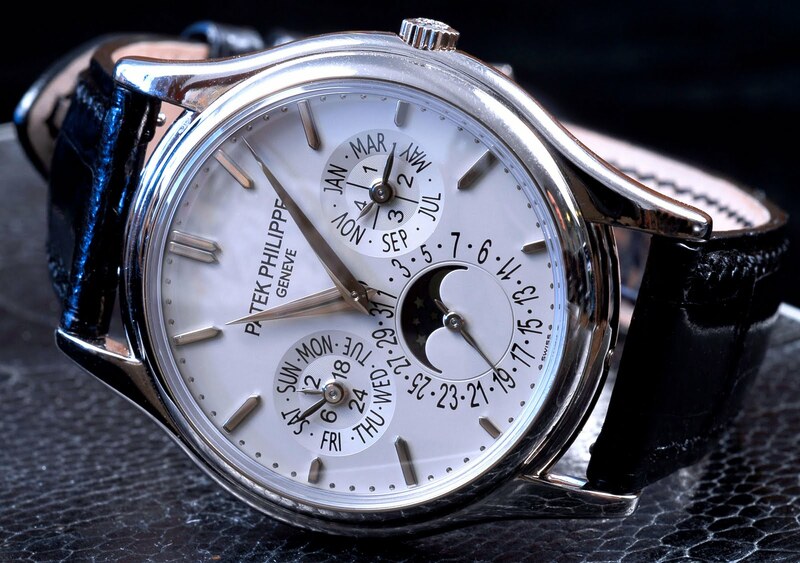 I quickly gravitated toward the Patek Philippe [Reference 3940] Moonphase, and instantly fell in love with it. A year or so later, I got this Patek Philippe brochure for the 3940, which I still have. 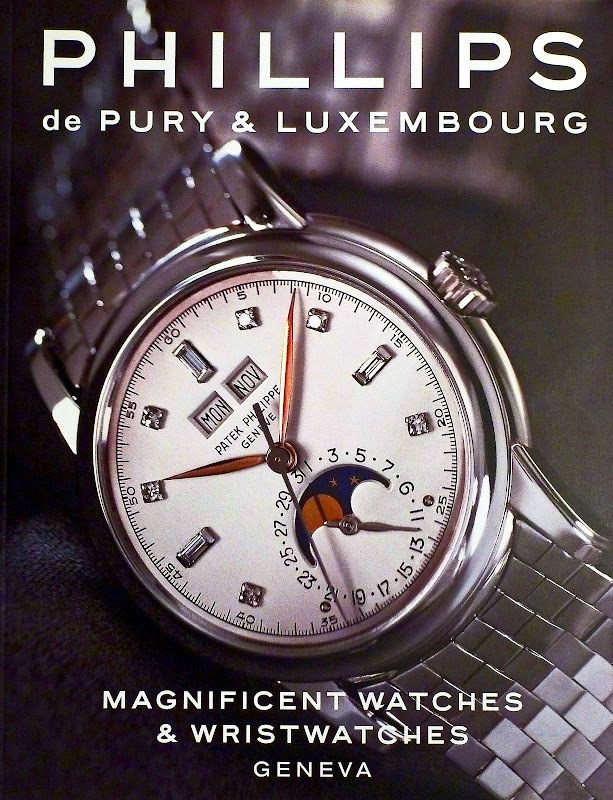 The Patek Philippe 3940 pictured on the cover of the brochure (above) is a very early Reference 3940, and you can tell because it has the top two concentric sub-dials, etched around the inner numbers, whereas in all the other photos below, the two top sub-dials, ramp down to a second circular shape. In my opinion, the later versions look much better that the first generation. At the time, this watch retailed for around $30,000 and you could find a used one for around $20,000, which was way out of my league. 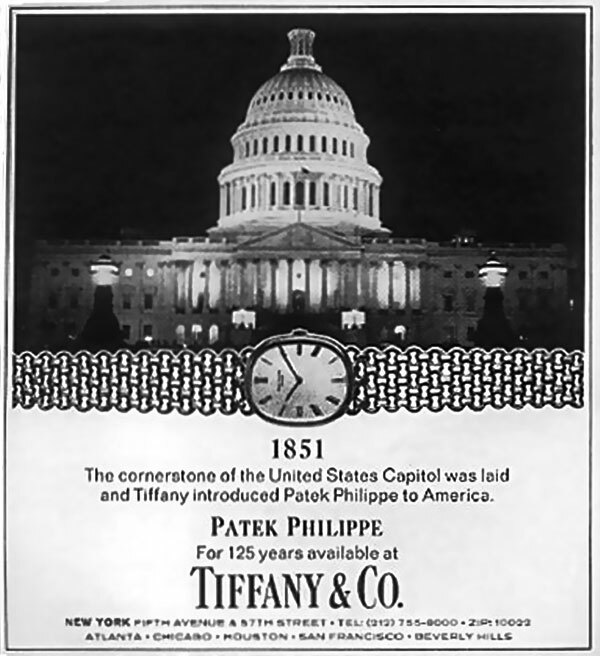 A few years later I was looking through a magazine, and I saw a Tiffany & Company ad that featured the Patek 3940, and I cut it out. I still have the Tiffany & Company image which I scanned and you can see it below. I can't tell you how many countless hours I spent starring at this image in absolute awe!!! I remember wanting this watch so badly, and being extremely frustrated that it was so expensive. 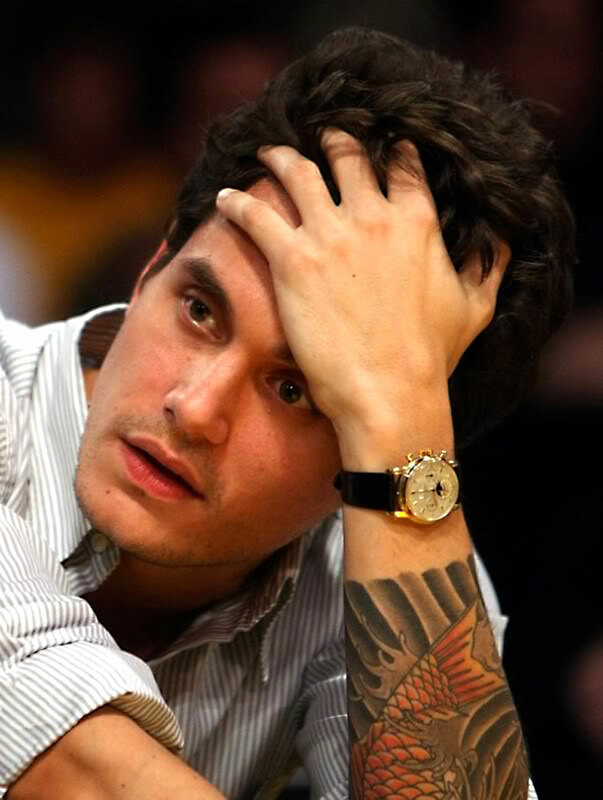 I remember thinking, "why is it that the one watch I am madly in love with cost at least $20,000!?!?!" 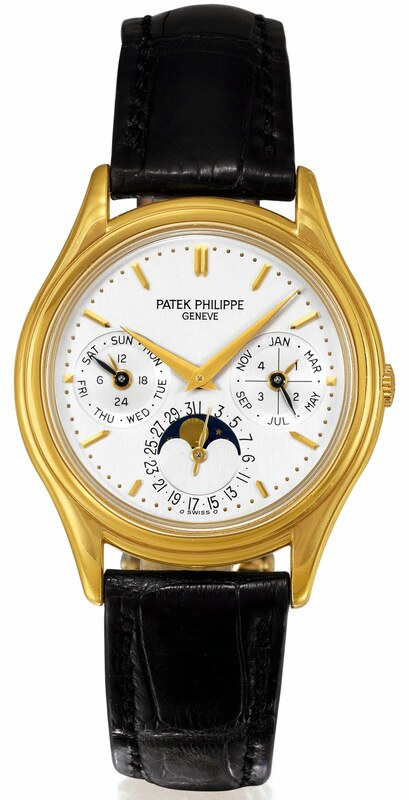 I tried so hard to find another dress watch that could fulfill my desire for this watch and finally I just gave up and realized it was the Patek Philippe 3940 or nothing!!! 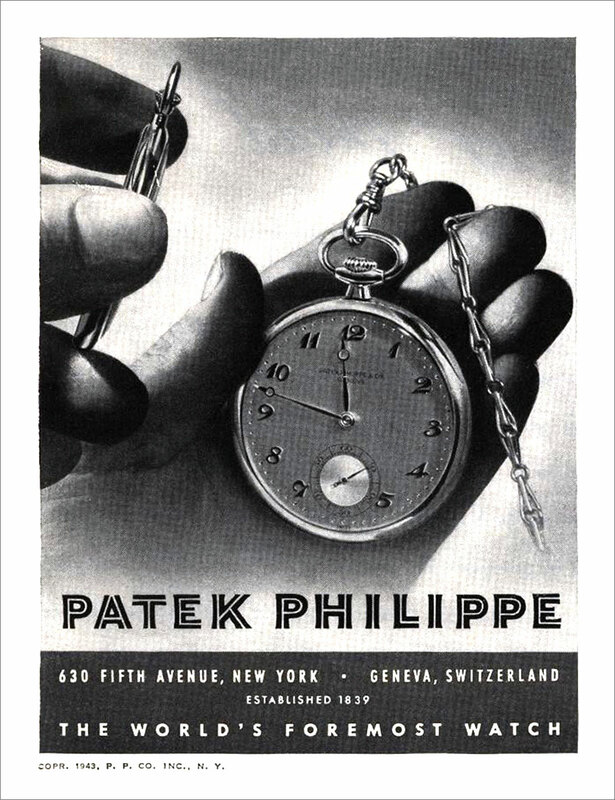 A few years later, I came across this next image from the Patek Philipp Catalog and I added it to my collection of Patek Philippe Reference 3940 material. I also spent forever and a day starring at this image as well. 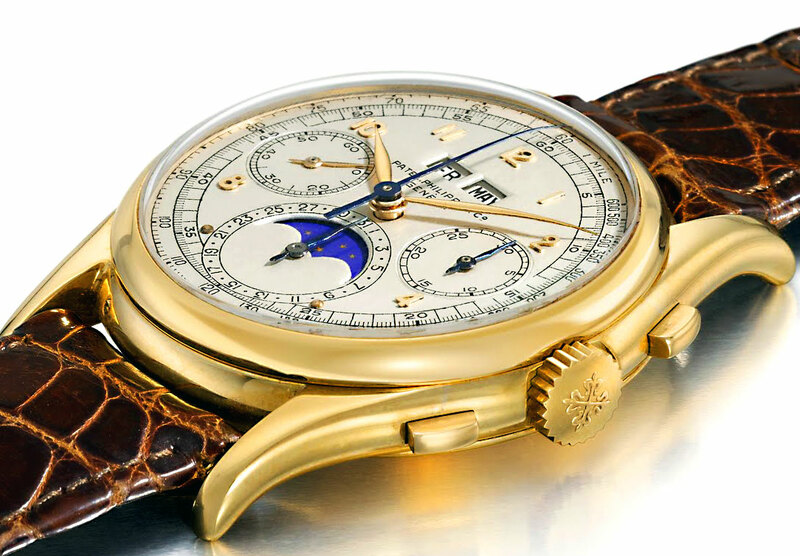 It had a 36mm case and an unusually thin case–compared to all the complicated Patek Philippe complicated watches that came before it. I remember thinking to myself that it was just so perfect looking.!!! To make a long story short, it took me 20 years to save up the money to finally purchase a yellow gold Patek Philippe 3940. The next two photos were taken by the person who sold me my Patek Philippe 3940. I remember starring at these two photos for a zillion hours. I am not certain if they are of the same watch taken in different light? The first image looks like the watch might be pink gold? As I mentioned, I could not stop starring at these images!!! It is interesting to note how different the watch looks in candid photos, versus how it looks in a brochure where the time is always 10 minutes after ten. One of the cool features of the Patek Philippe 3940 is that it has beautiful Dauphin hands that lack a second hand, so they have a very clean look. 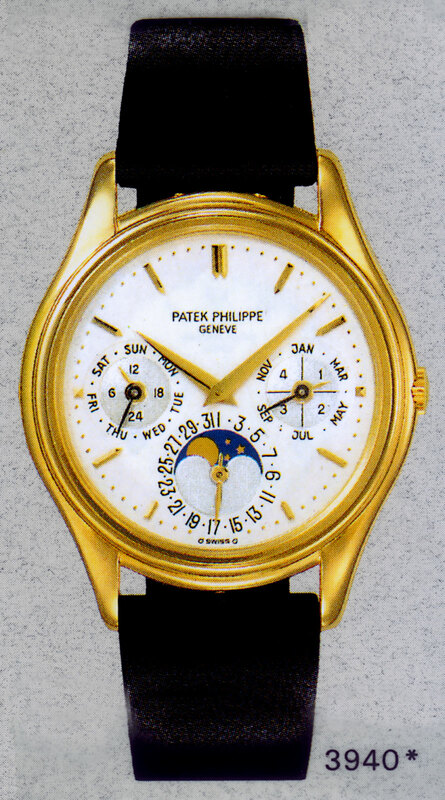 When I wore a Patek Philippe Reference 3940 watch, I noticed a feature the watch had which I believe was previously undiscovered or undocumented and I will share it with you. 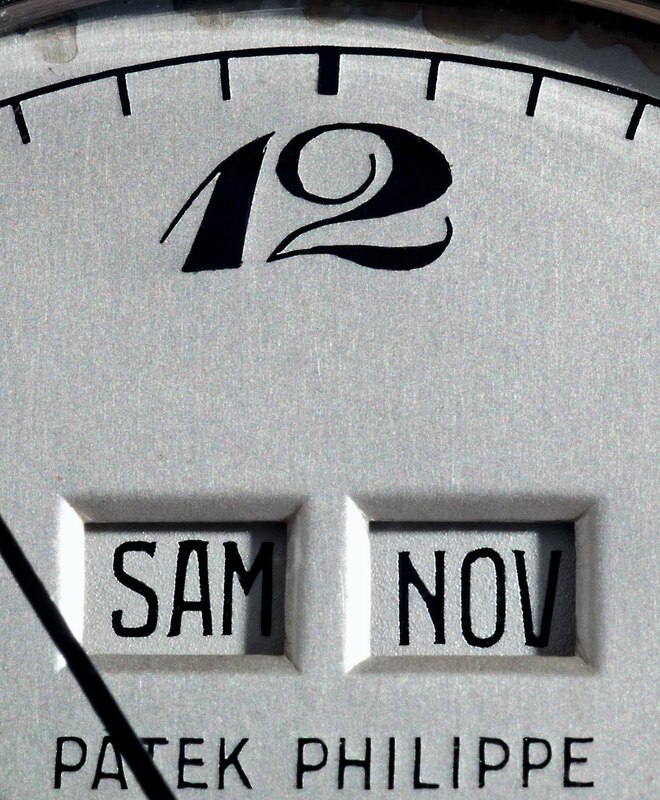 Notice, on the right sub-dial, in the photo above, running around the outer-edge of the rim, we see the 12 months of the year, with the 6 odd months of the year abbreviated with 3 letters each. In other words, we see JAN, MAR, MAY, JUL, SEP and NOV. The outer-edge month indicator uses the longer black hand to indicate which month you are in. Notice the inner leap year indicator ring has a circle divided by a "+" into 4 sections. Each of the four sections represent one of the four years that make up the leap year calendar. I believe, if I am recalling correctly, year "4" is the leap year, in which the month of February only has 28 days, whereas the other 3 years have 29 days in February. So every fourth February is skipped over and this day is technically known as "leap day" in the "leap year." 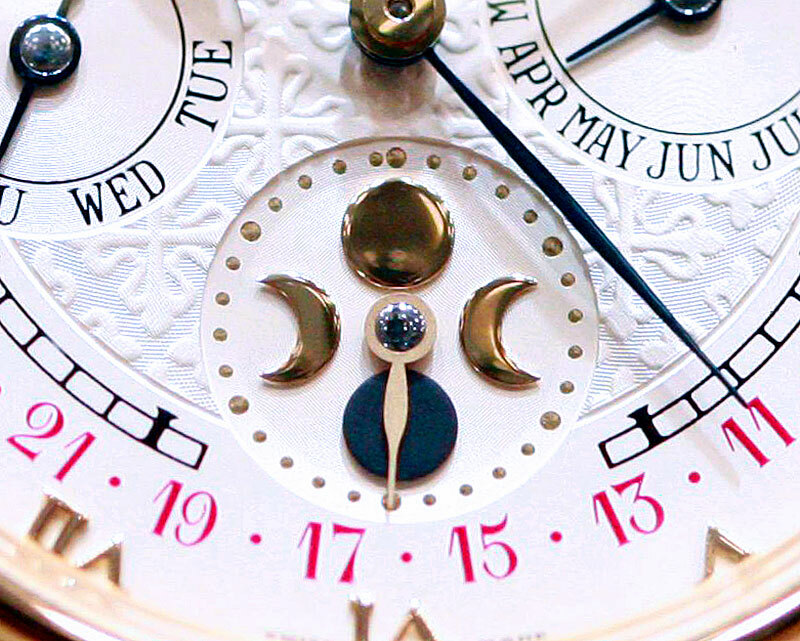 Notice the leap-year indicator hand on the right sub-dial is gold. I noticed, or discovered, if you utilize the black month hand, with the 4-section leap year indicator, it will tell you which business quarter you are in!!! So if you are a business executive, particularly in a larger enterprise, it would be common for you to refer to Q1, Q2, Q3 or Q4. Instead of saying January through March of 2011, you would refer to the same time period as Q1 2011. I believe businesses tend to section the year into quarters to track or measure financial and marketing performance–particularly in a publicly-traded company. I don't know if I was the first person to notice this undocumented business-quarter feature, but it is interesting and useful. 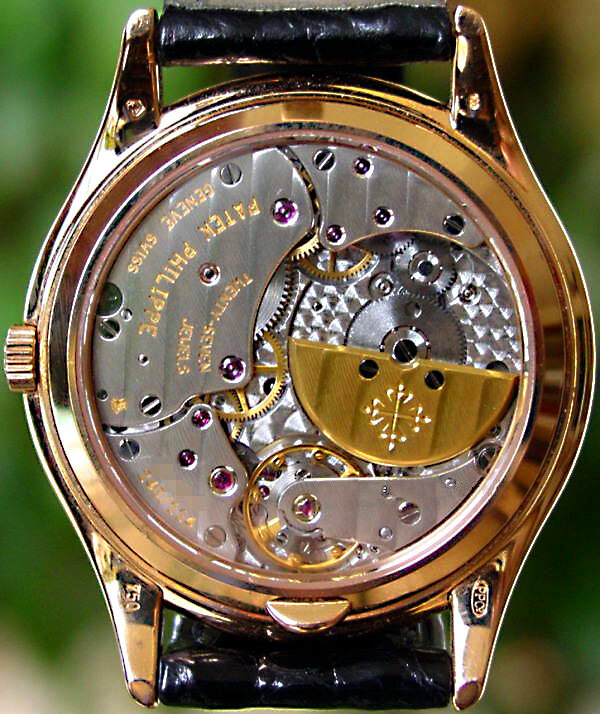 The next photo below shows the Patek Philippe Reference 3940 movement. Notice how small the winding rotor is? 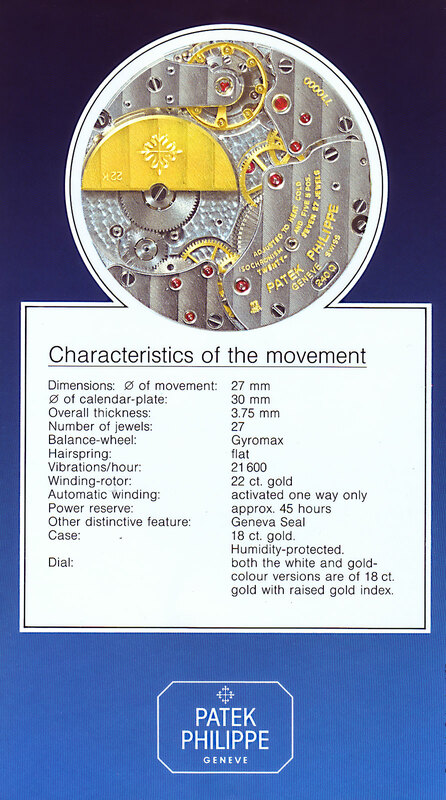 The winding rotor is made from 22kt gold, which, since it is heavy, allows the watch to be easily wound. I bought the Patek Philippe Reference 3940 pictured above used for $30,000, and it was in like brand-new condition. I wore it for several years, and then sold it for $30,000. Basically, I got to wear it for free. Sometimes I miss it, but I think I got my fill. I remember I used to just stare at it on my wrist. I know that somewhere, I have some wrist shots I took of it, and when I find them I will as one or two to this post. I remember that when I wore this watch for several years, it was so low-key. Nobody EVER recognized it and said "Oh, you are wearing a Patek Philippe." Not once. As a matter of fact, I never even got one compliment on the watch. This was ironic, because I have owned many Rolex watches, that I always received compliments on, but never with the Patek Phillipe 3940, and that was kind of the beauty of it. I would walk around with a $5,000 to $25,000 (retail) Rolex on my wrist and everybody would stare at it, and then I would walk around with a $60,000 (retail) Patek Philippe and nobody would ever notice it. I may as well have been wearing a $100 Fossil watch, but in my mind, I knew exactly what it was, and I could never seem to stop starring at it!!! 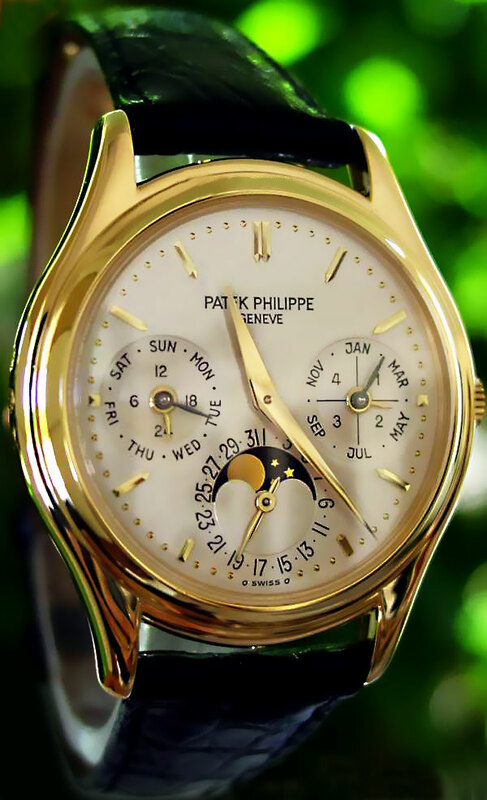 That is really kind of the beauty of owning a Patek Philippe complicated watch, is that nobody knows what it is, but you do. I recall Patek Philippe once had a slogan that said "Wearing a Patek Philippe not only tell you the time, but it tells you something about yourself" and boy is that true!!! 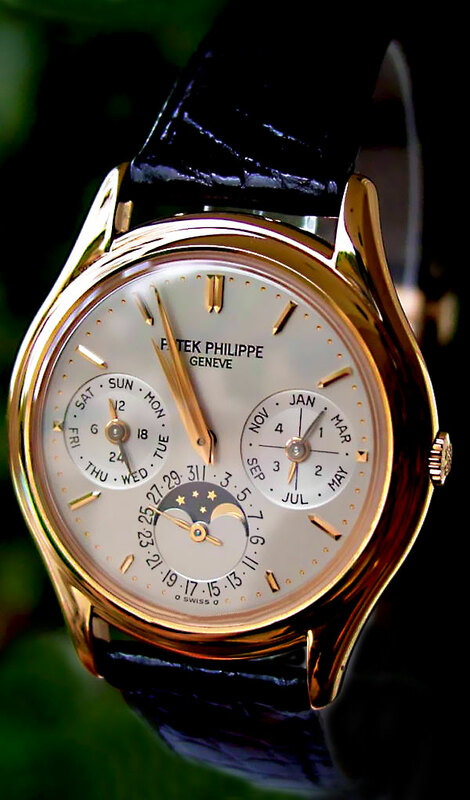 Patek Phililppe introduced the Reference 3940 Perpetual Calendar in 1985, and discontinued manufacturing the reference in 2006. 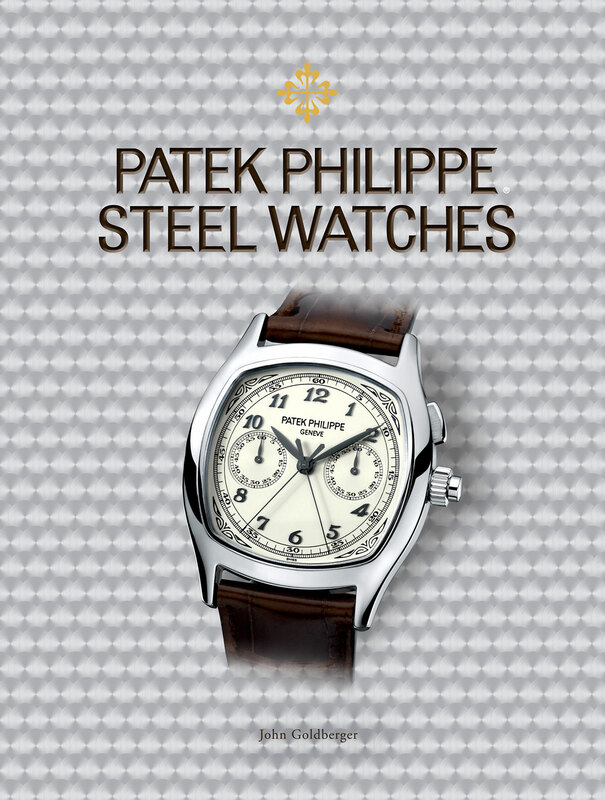 Patek Philippe replaced the Reference 3940 with the Reference slightly larger 5140. 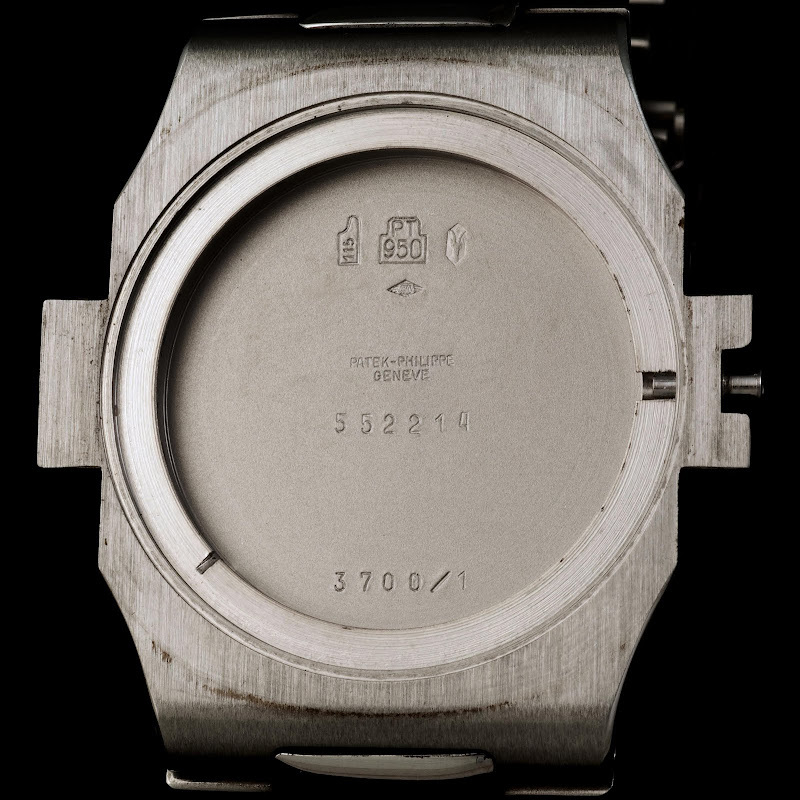 In particular, the diameter of the case grew to 37mm, and they changed the bezel from a concave bezel to a taller, convex [domed] bezel, as seen in the image below appears courtesy of Paul Boutros. By adding the taller domed bezel, it significantly reduced the exposed crystal edge, which give the new body a much more streamlined profile. Patek Philippe kept the Caliber 240Q movement and arguably made the watch look worse, by making the font sizes way to large, and they did something really weird with the design of the dates running around the moon-phase indicator. In other words, they made them larger and various sizes, which in my design mind was a mistake. It almost seems like they made it better and worse at the same time. In my personal opinion, they would have done much better, if they had simply scaled the Reference 3940 up in size. The already busy dial of the Reference 3940, got too busy looking on the Reference 5140, although I reserve all judgement because I have not seen one in person. This next image compares the Patek Philippe 3940, side by side with its son, the Patek Philippe 5140, and the photo was taken by Mech as part of a story he wrote on the Patek Philippe 5140. In the comparison shots above and below, notice the 5140 minute marker track is much closer to the outside edge of the dial, and the 5 minute markers are longer, wider and more substantial and masculine looking. 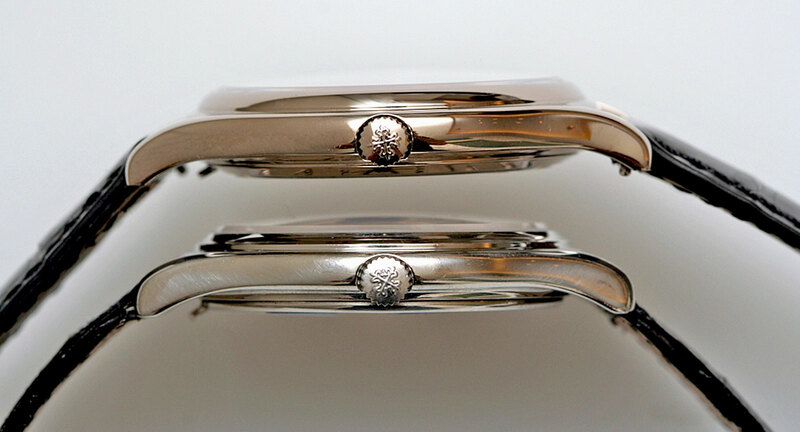 This next comparison shot (below) shows the white gold Patek Philippe Reference 5140 on the left, next to the white gold Patek Philippe Reference 3940, and this image appears courtesy of Paul Boutros. 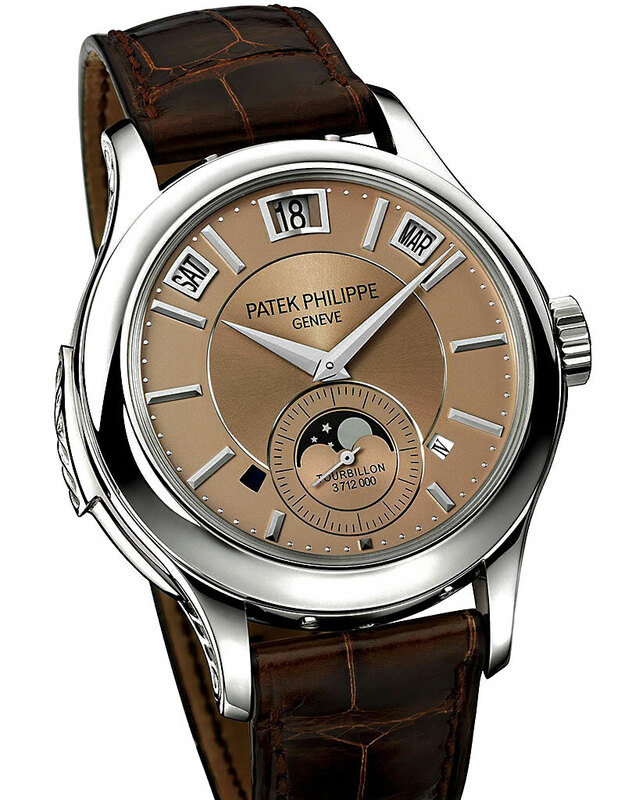 If you click on this next image below, of the White Gold Patek Philippe 5140 [Reference 5140G] you can see that the top sub-dials also have concentric-circles inside. 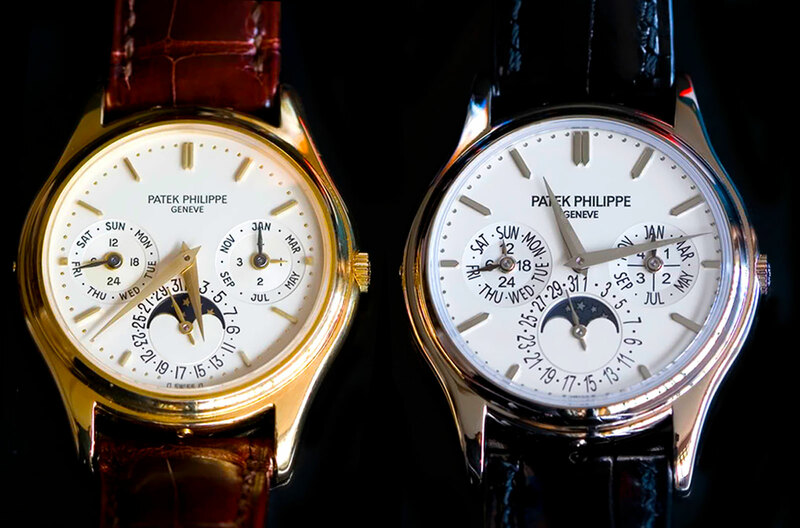 As of 2012, Patek Philippe offers the 5140, as seen below, in White, Yellow Gold with silvered dials, and they now offer Rose Gold with a sunburst brown dial, as well as offering a Platinum model with a sunburst blue dial. 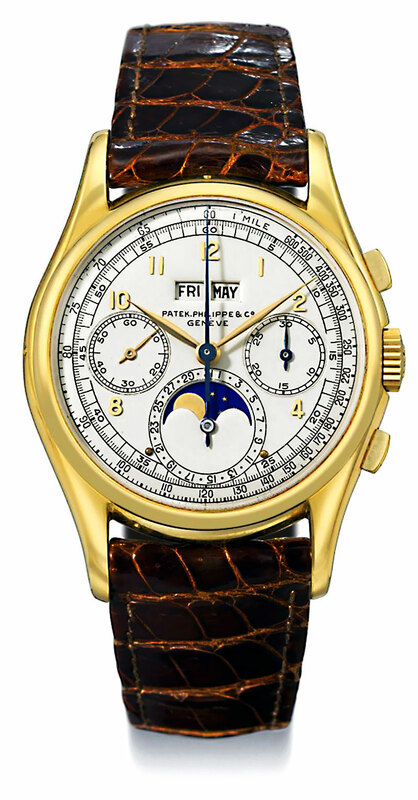 Christie's successfully auctioned this ultra-rare Stainless Steel Patek Philippe Reference 1526 on May 12, 2008 for $3,956,159. The dial on this watch has applied Arabic numerals which are covered with black lacquer, and the watch was first sold on April 17th, 1951. 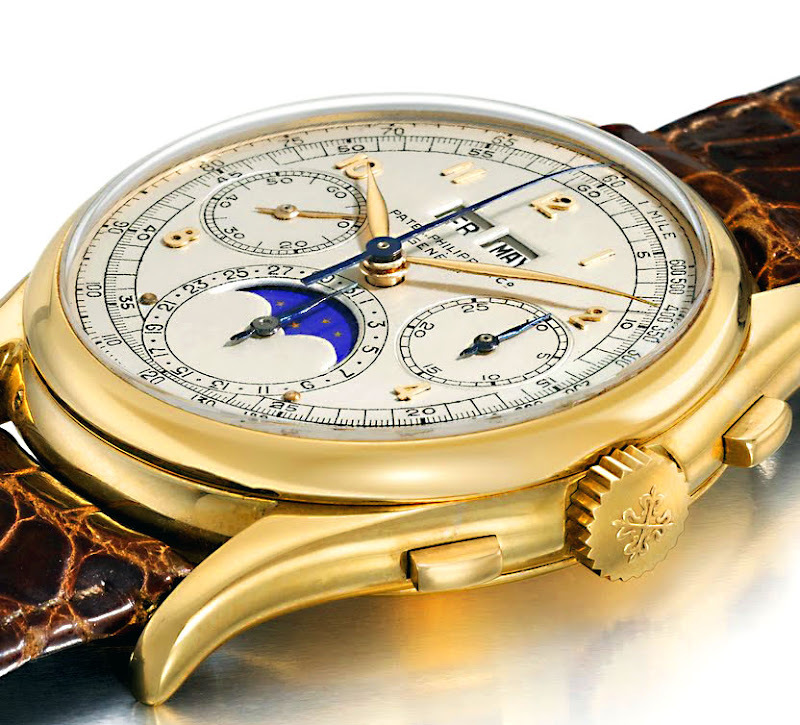 Christie's sold this stunningly beautiful chronograph on May 10, 2010 for a record setting $5.6 Million. This is a most unusual Patek Philippe with a fascinating history, or lack thereof–depending on how you look at it. There is something very strange and unusual about this watch. According to the provenance, it just kind of showed-up from out of nowhere, and it was recorded as being last seen at auction 20 years ago. 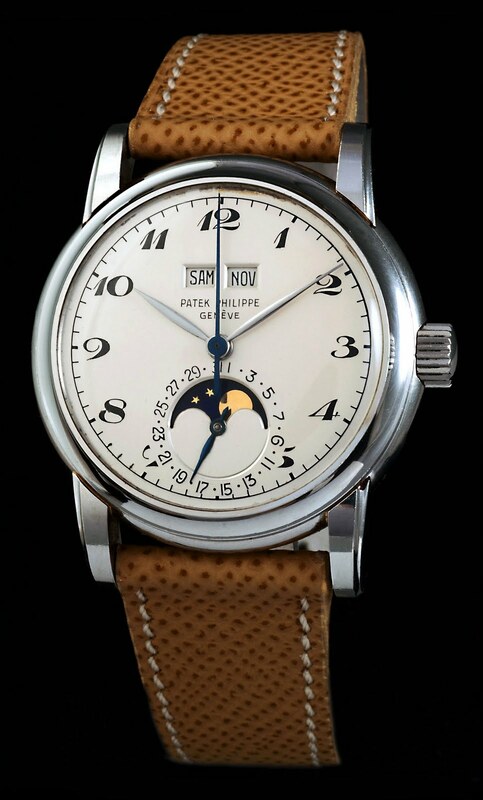 According to the Patek Philippe's exhaustive research, this watch was made in 1943 and completed in 1944, and originally sold on August 22, 1946. This watch is bizarre in so many ways. First and foremost, it is perplexing to understand it was designed and built in Switzerland during World War II. In other words, this watch was completed while Adolf Hitler was still alive and running Nazi Germany, and tucked away in Switzerland there was some master Patek Philippe watchmaker engineering this magnificent and timeless beauty. 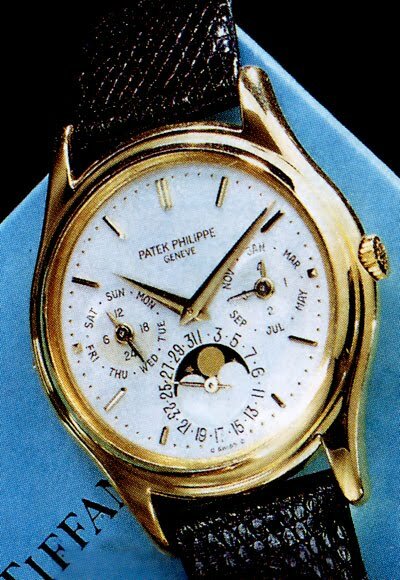 If anybody else but Patek Philippe confirmed the design and build date of this watch I would not believe them. This watch is considered to be one-of-a-kind, and thus it is perhaps a prototype or a custom-watch. It almost appears that somebody in 1943 had a time machine and went 10 years into the future and saw this design and brought it back in time. 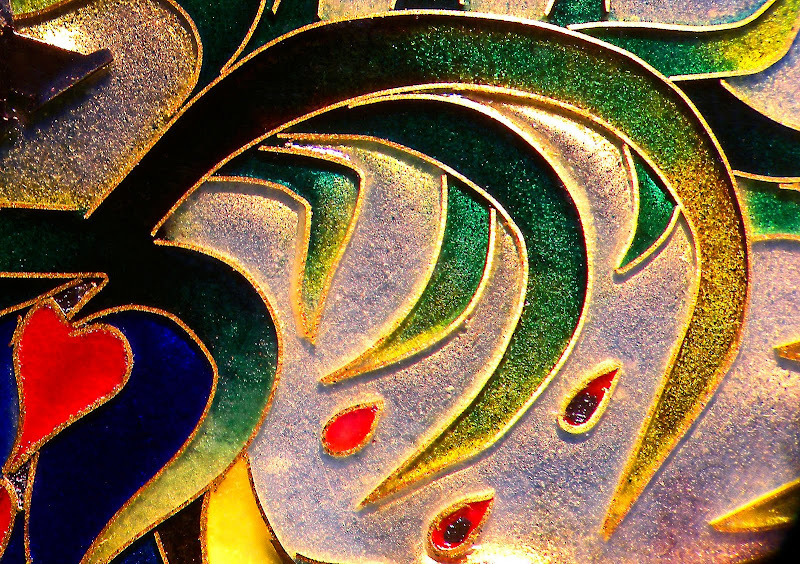 Somehow the ultra-timeless nature of this design does not jibe!!! It is hard to imagine, but apparently, somehow, some-way, somebody in 1943 designed this modern masterpiece, and years later it became popular. This watch just does not look like it is from 1943, and yet somehow it is!?! It is so modern and timeless, that if you wore it today, it would look superb. 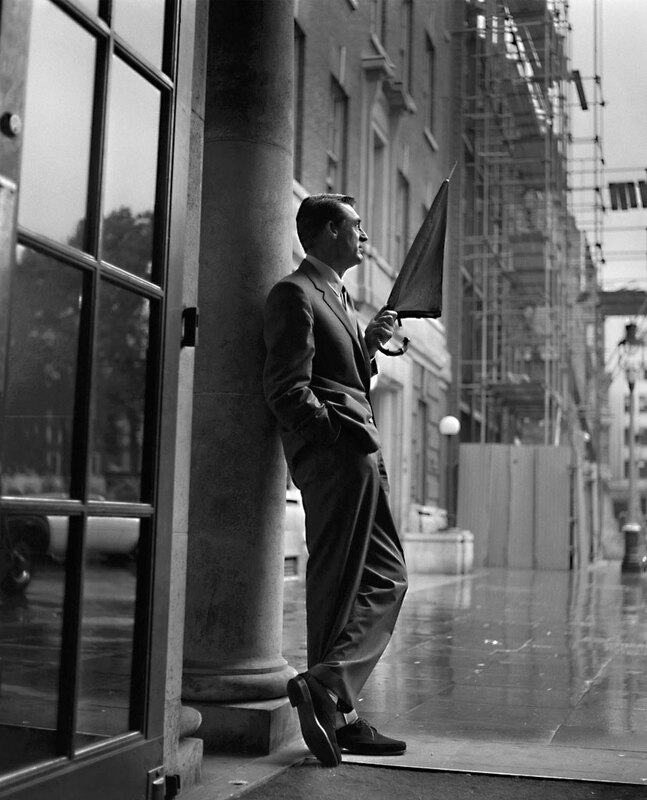 I guess it all makes sense in some ways–kinda like Cary Grant's style in the 1950s. In other words, if Cary Grant from 1955 got in a time machine and landed in New York in 2011, he would not look out of place in any way. Call it timeless elegance or whatever you like. How could this 68 year old wristwatch possible be worth $5.6 Million!?! 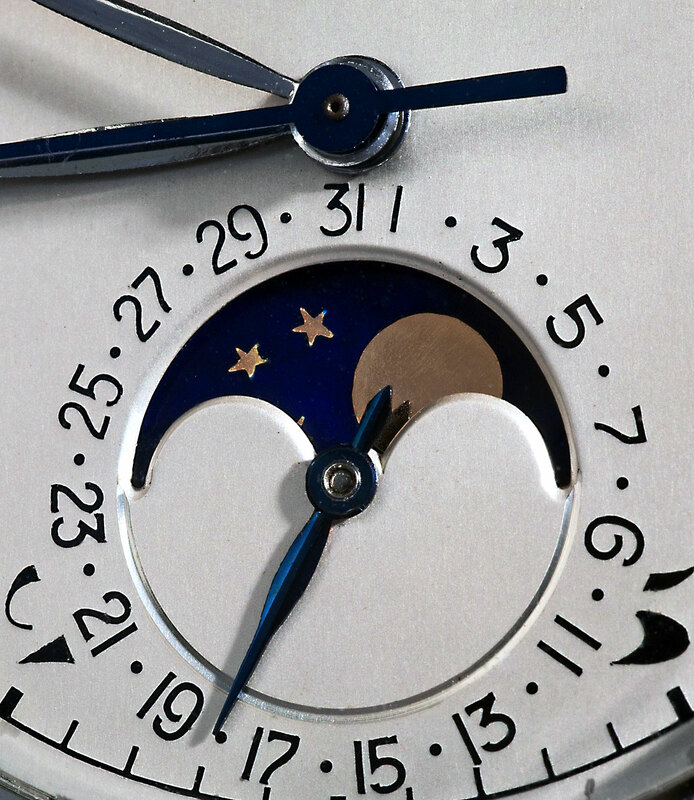 I think its valuation is based upon the crazy-amazing timeless design aesthetic this watch possesses. In other words, I think its value is based upon the fact this watch is so bold and stunning and timeless at the same time. Imagine driving around today in any car from 1943 and you would look silly, or certainly out of place, but put on this watch and it would look like you bought it yesterday!!! This watch is surrounded by mystery and it is so hard to believe it was designed and made in 1943. It stands testament to the notion that elegance knows no pain.